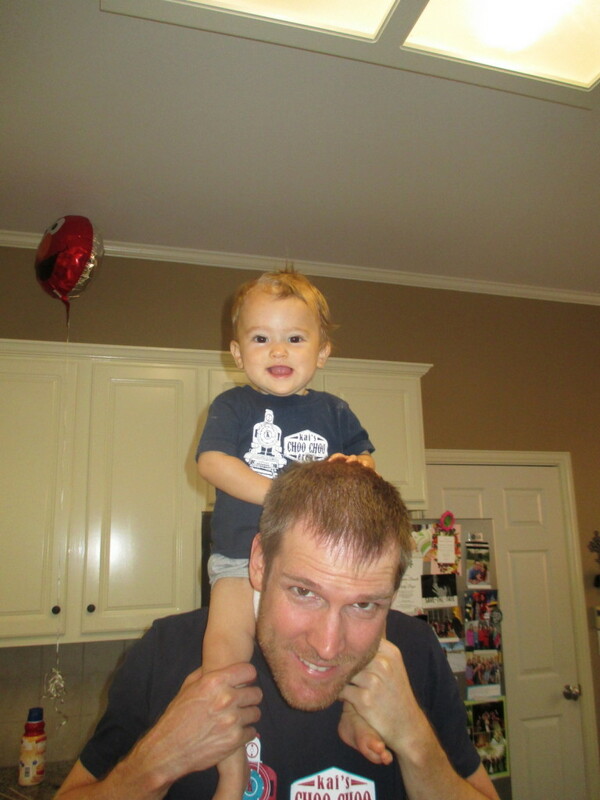 No, this post has nothing to do with all my grey hairs. Even though that could be a post in itself, I’ll leave that topic for another day. 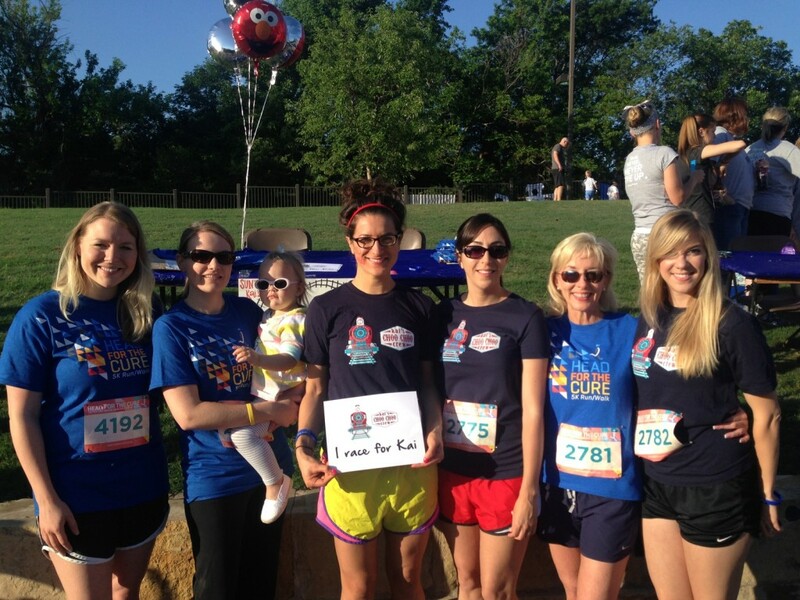 May is national Brain Tumor awareness month. This month I am going grey for Brain Tumors. It’s crazy that just two months ago I didn’t know anything about May being brain tumor awareness month, Head for the Cure, or much less brain cancer at all. 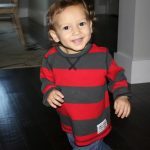 Things change quickly, way too quickly as I learned with Kai being diagnosed and passing away 15 days later. The Facts – There are over 120 different types of brain tumors, with only 4 of those that have treatments approved by the FDA. Each year 70,000 people will be diagnosed with a brain tumor and each year 15,000 people will die from a brain tumor. Brain Tumors are the 2nd leading cause of death in children (behind leukemia). To some, this might be a number. Honestly, I get that. It was to me too. It doesn’t become reality until it affects you or someone you know. But, with a large classroom (40 people) full of people dying every day from a brain tumor, chances are it may impact you one day too. We must fight for a cure! Not only did we lose Kai, but it seems more stories are starting to develop around me. There were too many connections at the race this past weekend and my friend lost her mom this past Monday to /brain cancer. It is happening too often, and unlike so many other organizations including Race for the Cure, brain cancer doesn’t get the attention, have the money to research, or have a cure. As said, only 4 types of the tumor have approved treatments. Stella and Dot – Despite the fact that my sweet friend Staci lives 4 hours away and just had her 3rd kid, she is so graciously doing a Stella and Dot party in honor of Kai. 20% of the proceeds will go to Head for the Cure. Because many have asked how they can help or where they can donate, I wanted to extend this offer to everyone who wants to buy a fun piece of jewelry and raise money in honor of Kai. To do so please go here and under the RSVP there is an option to shop online. All Dallas friends are welcome to join the party at my house as well. 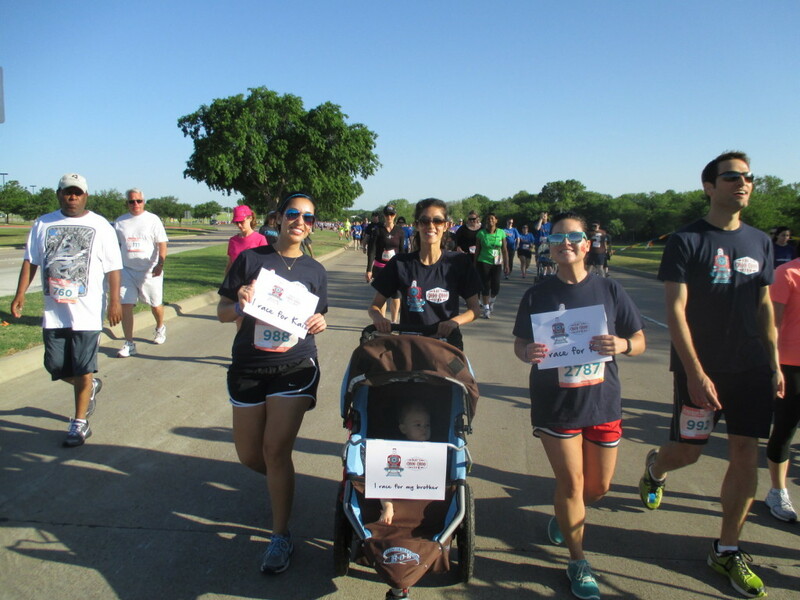 Head for the Cure – Similar to Race for the Cure for breast cancer, Head for the Cure is a race that raises money for brain cancer research. 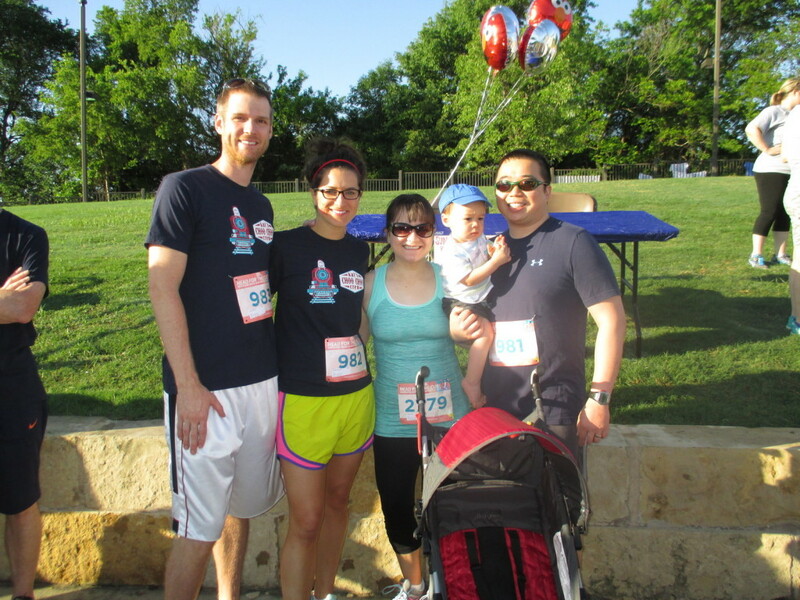 Just 7 days after Kai went to be with Jesus, we had 40ish people come out to race for Head for the Cure in Austin. 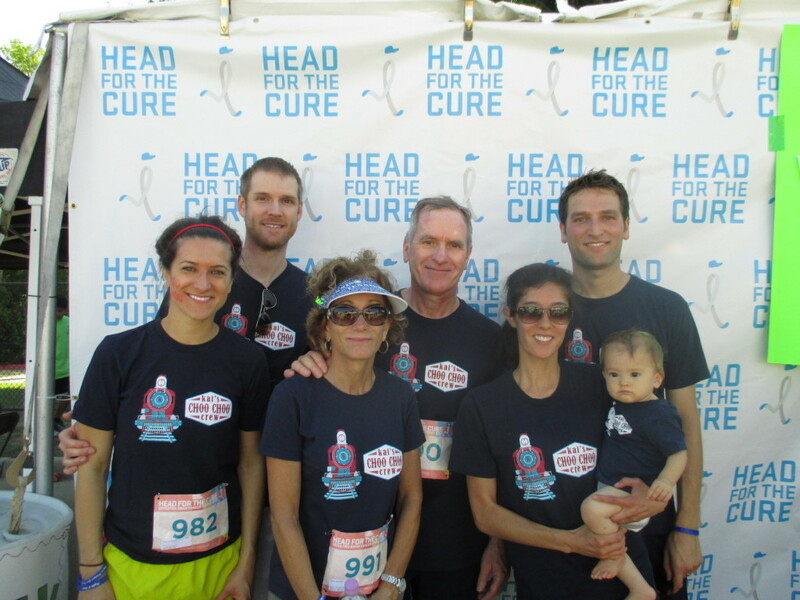 This past weekend, Head for the Cure was in Dallas. Shawn and Aki and Maya came up for the race as well as two of their friends from Austin. 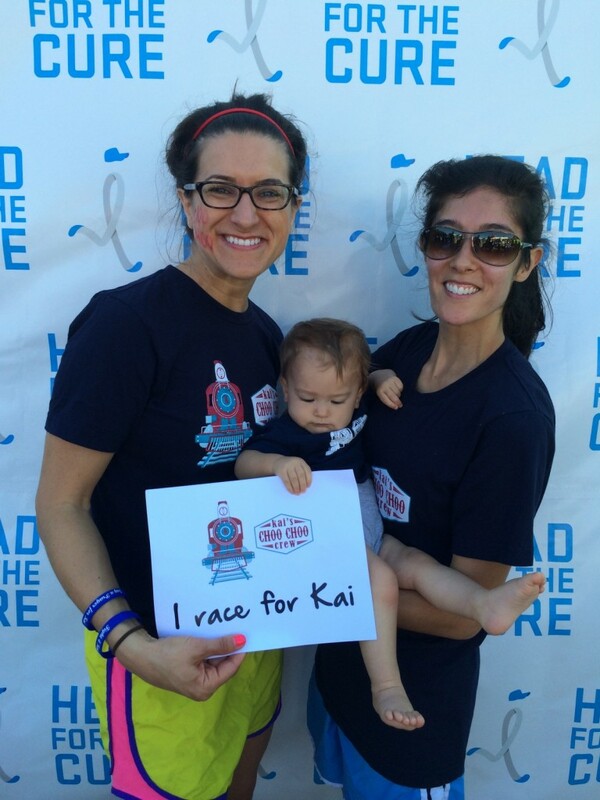 We had 30 people come out and race for Kai and the sweet thing about it was many of them were my friends who had never even met him. I was overwhelmed by all the support and love and the fact that people would sacrifice their Saturday mornings to be there for our family and raise money for brain cancer research. 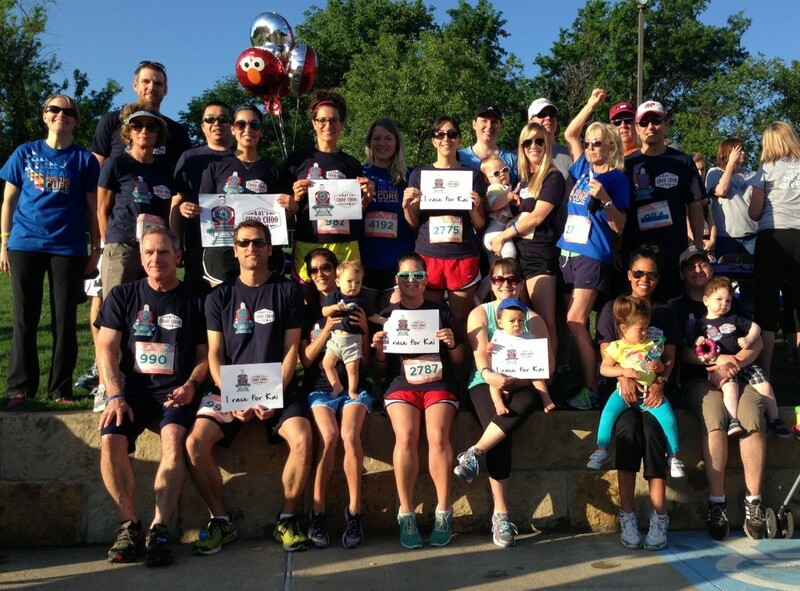 Austin friends and family racing for Kai! I’m going grey this month – All in honor of this sweet boy. We miss you Kai! Wow! I had no idea it was the 2nd cause of death in children! Thank you for your commitment in honoring Kai, raising awareness, and reminding people that love wins! You have such an amazing heart! Thanks for spreading awareness and educating us a bit. Like Megan said above, I had no clue it was the 2nd cause of death in children, either. 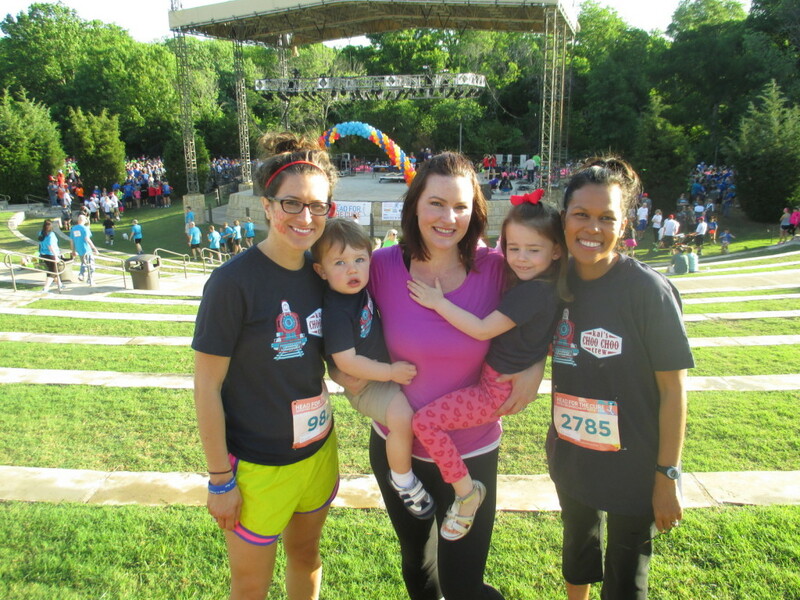 What sweet friends you have for racing with you and for using the Stella Dot sale to raise money. Again so sorry for your loss! What an awesome cause to stand behind and now you have an even bigger reason to support and spread awarenss! Wow! 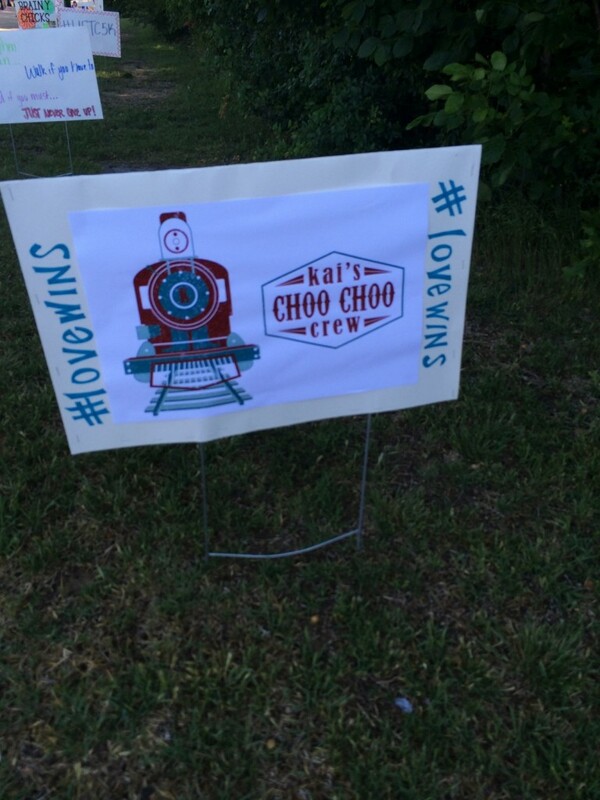 I love all of the support for Kai in both Dallas and Austin. Your church friends, coworkers, etc…how great 🙂 Thanks for spreading the awareness, Caroline. I honestly don’t know much about it and need to be educated. When is the Stella & Dot party here in Dallas? What an amazing how of support from people all over the place to join you. I will def let my friends who are into Stella and Dot know about the sale/link! I loved seeing the pics and how much support you had last weekend. 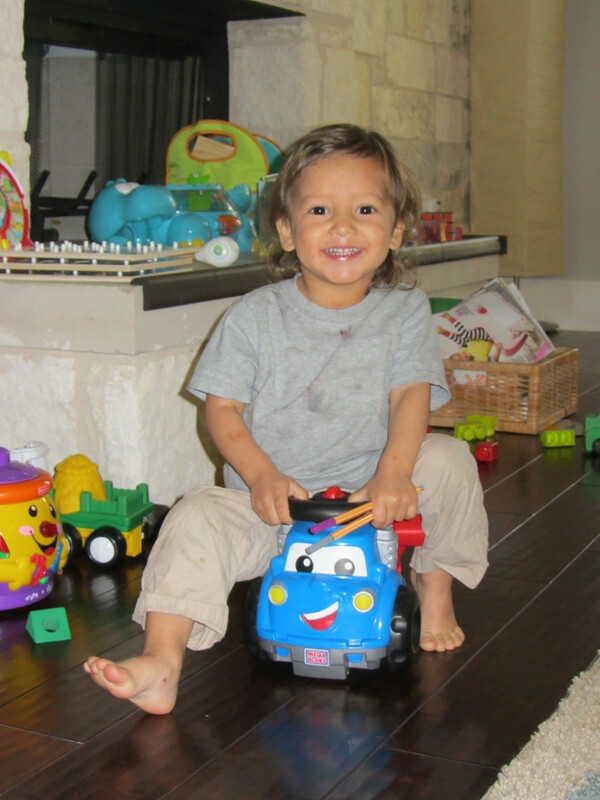 I can’t believe how much Maya is taking after her big brother – such a sweet little reminder of his spirit. It’s May 30th at 7pm at Caroline’s house! 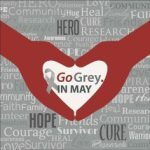 Wow I had no idea about May being the month for brain cancer awareness either. I am so sad that we all had to learn about it with the loss of Kai. I do believe knowledge is power and it’s important to be aware. Thank you for teaching us some important stuff today. Also I love that you guys are getting involved and meeting others. I know God has something big in store. Thanks for sharing friend… and for bringing awareness. What beautiful pictures of community and love. 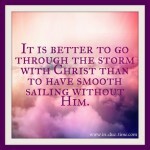 I pray God continues to comfort all of you. Every time I think about it, my heart just sinks, and then I look at you and your family, still choosing light and love, and am so proud to know you. You are all living proof that faith is strength and brings peace. i always learn so much from your posts. to be honest, i didn’t know the numbers, facts, or statistics behind brain cancer (or, really, any type of cancer). it’s not something i’ve dealt with yet, but i’m well aware that it’s only a matter of time. thanks for sharing the information and shedding light on an issue that we all need to pull together to solve. 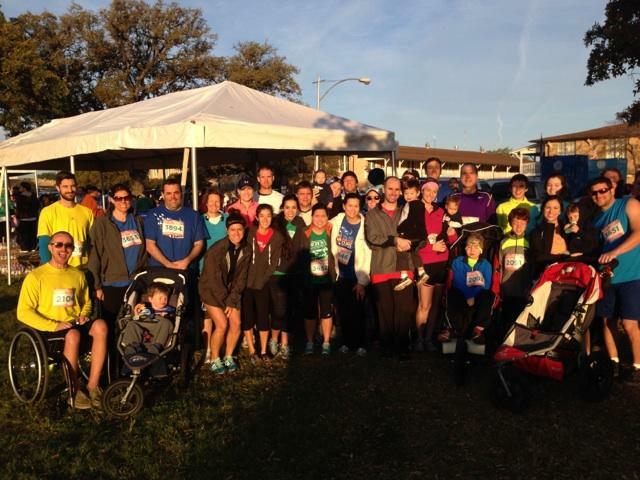 on a more positive note, it’s super sweet and touching how many people came out to run for kai – that’s a lot of love. I admire you for putting all of the effort to raise awareness. Cancer is such a mean disease. I too, did not know those statistics. That is kind of scary to me. What a great way to remember Kai – exercising, gathering with other people and helping to contribute to research funding – that’s awesome! It’s amazing how quickly we can learn about different things when they become part of our lives. I really didn’t know anything about tumors in children, I love the awareness you are able to raise!